The first time I went through Martock, I paused for just long enough to notice the bold black lettering painted around the curving corner of the Post Office. It looked like a nice touch in a small town that seemed proud to have retained this key local service when so many places have lost their Post Offices since email replaced letter-writing for so many people and some of the services provided by Post Offices moved elsewhere or declined in popularity. My eye having been caught by this strong lettering, I started to look at it a little more closely (noticing how that final ‘E’ looks a little cramped, and how the effect varies slightly as you move around and the curve) and then realised I soon needed to be somewhere else. So I took a swift photograph, jumped in the car, and drove away. Later, looking at the photograph, I kicked myself for not examining more closely the post box to the left of the door. The splash of red with a white plate above told me that it must be a Ludlow – a type of box, distinguished by this white enamelled plate, the lack of a rain hood over the slot, and, if one could see how it’s made inside, a wooden inner body. I’ve noticed Ludlow boxes (named for their manufacturer) before. Months later, I was talking to someone who knew a lot about the history of post boxes and she mentioned this box in Martock as an uncommon example of one made and installed in 1936 with the monogram of King Edward VIII, who was king so briefly that he was not even crowned. When I was passing near Martock more recently, I stopped again and saw that there’s an ‘E R’, in a very curvaceous, ornate letterform. But which Edward does this monogram refer to? Now, I’m no expert in the minutiae of post-box design. This ‘E R’ is certainly different from the plainer, more classical one used in connection with a Roman number ‘II’, on the boxes marked with the monogram of the current queen, Elizabeth II. However, the curvy letterform on the Martock box is similar to that on some boxes said to be of the earlier Edward VII period, whereas most Edward VIII pillar boxes have a still more curly E made up of two loops. Online sources seem to disagree about all this. But it’s a charming bit of lettering anyway, and worth a pause. I’m pleased I managed to go back and see it. My guess is the Martock example is one that slipped through the net. That box is so beautiful and intriguing that it might almost be worth a trip just to see it. But note I did say "almost". I think of them all I like the Liverpool box the best. It looks royal and is just so unique. I learned a bit today. Thanks ! Peter: Thank you. That's really interesting. And I'll clearly have to put Jean Young Ferrugia's book on my 'to look out for' list! Judy: Glad you liked it! Keep your eyes open - there are other boxes like this scattered around the country, so a special trip may not be necessary! Evelyn: Thank you! The Liverpool box is a stunner, isn't it? Published as part of Historic England’s Irreplaceable: The History of England in 100 Places campaign, supported by the insurance company Ecclesiastical, this book celebrates one hundred of England’s remarkable places. The places, nominated by the public under the guidance of a panel of expert judges, range from the observatory in Greenwich where modern measurement of time began to an ancient inn carved into the sandstone in Nottingham, from Windsor Castle to a post-war prefab in Birmingham. The choices are surprising, intriguing, and enlightening – and all deserve to be celebrated. 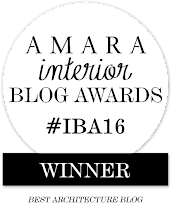 I'm honoured that English Buildings won the Amara Award for the Best Architecture Blog in both 2015 and 2016. 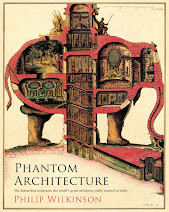 I'm the author of The English Buildings Book, Phantom Architecture, Restoration, the book of Adam Hart-Davis's series What the Romans Did For Us, other books about architecture and buildings, and various books on other subjects, including Dorling Kindersley's handbooks on Mythology (written with Neil Philip) and Religions. 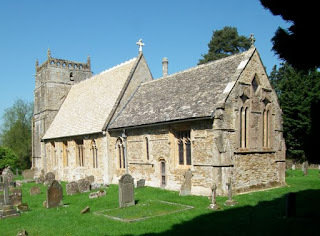 IN THIS BLOG I share my encounters with some of my favourite English buildings, including many that are little known and that get short shrift in the architectural history books. Look here for accounts of breweries, prefabs, power stations, corrugated-iron barns and the occasional parish church as I share my meetings with England's remarkable buildings. IN THIS COLUMN, JUST BELOW HERE, are links to more information about me, my books, and the courses and talks I give. A LITTLE FURTHER DOWN are some links to a series of short articles that make up a very brief history of English architecture. English Buildings is on Instagram (@philipbuildings) here. Phantom Architecture looks at some of the great buildings of the world that did not make it past the architect's drawing board. A skyscraper one mile high, a dome covering most of downtown Manhattan, a triumphal arch in the form of an elephant: some of the most exciting buildings in the history of architecture are the ones that never got built. These are the projects in which architects took materials to the limits, explored challenging new ideas, defied conventions, and pointed the way towards the future. Some of them are architectural masterpieces, some simply delightful flights of fancy. It was not usually poor design that stymied them – politics, inadequate funding, or a client who chose a ‘safe’ option rather than a daring vision were all things that could stop a project leaving the drawing board. These unbuilt buildings range from Boullée's vast spherical monument to Isaac Newton to Archigram's Walking City. Phantom Architecture shows why they still haunt us today. 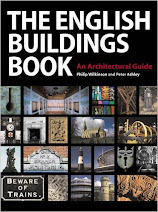 Published by English Heritage, The English Buildings Book, by Philip Wilkinson and Peter Ashley, covers everything from parish churches to castles, town halls to market halls, barns to bars. Now out in paperback. "...the job within my job is to render back what I have felt and enjoyed; to try and make the interpretation into some kind of poem itself."